Easter is a happy time of year with chocolate bunnies, colored eggs, and jelly beans. It’s when winter changes into spring with flowers blooming and the grass turning green. We can be very happy at Easter time. Do you know why? A long time ago, Jesus Christ died on a cross and was buried in a small cave. His friends closed the cave with a big stone and went away very sad. But they were in for a big surprise. Three days later, on the first Easter, Jesus’s friends found the cave empty with the stone rolled away. They were afraid until an angel told them Jesus was not dead anymore. He was alive! 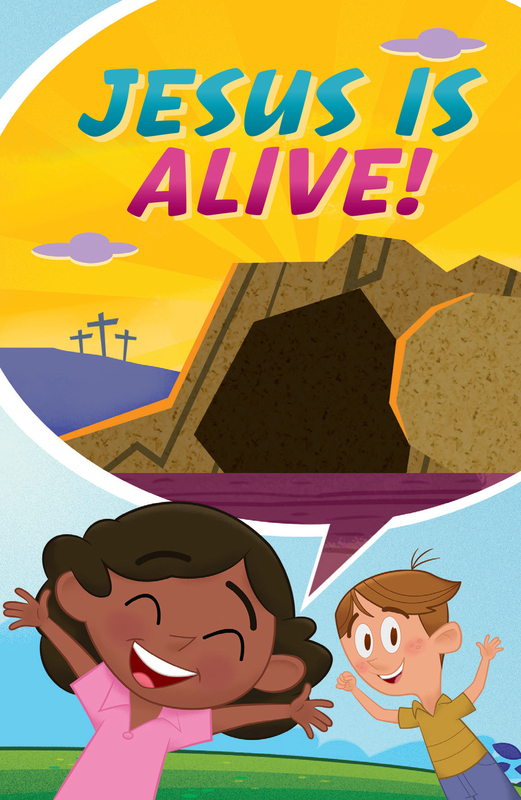 And that’s why we can be so happy on Easter— because Jesus Christ died and is now alive! Jesus dying on the cross means we are forgiven of the bad things we do (sin). Jesus Christ was raised from the dead so that we can live with him forever in heaven. The Bible tells us, “Yes, God loved the world so much that he gave his only Son [Jesus], so that everyone who believes in him would not be lost but have eternal life” (John 3:16). Jesus, I’m sorry I do bad things. Please forgive me. I believe you died for me to take away my sins. I believe you came back to life so I can live with you forever in heaven. I now trust in you as my Savior. Amen! Yes, I now trust in Jesus Christ as my Savior! Send your decision to the Truth Chasers Club, a ministry of Child Evangelism Fellowship, and they will send you free information to help you grow in your new relationship with God.